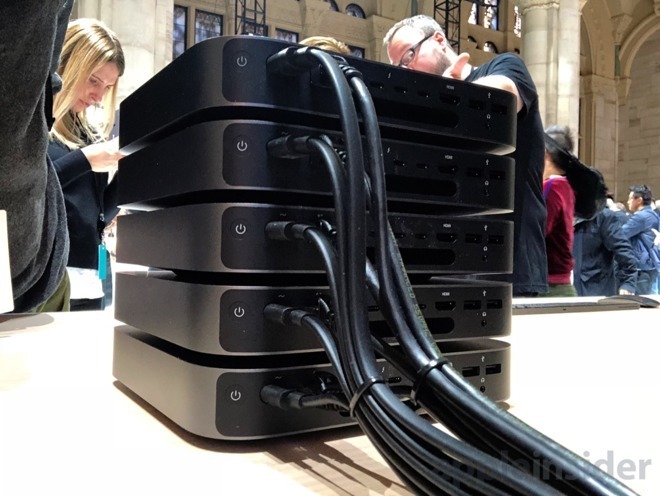 A new report claims that the Mac Pro refresh will rely on a custom data connector, and mission-specific modules that can be stacked to provide what users need —but also that it may not ship to customers until 2020. YouTube channel Tailosive Tech has released a video that claims in-depth details of the new Mac Pro which are reportedly based on information from sources within Apple. 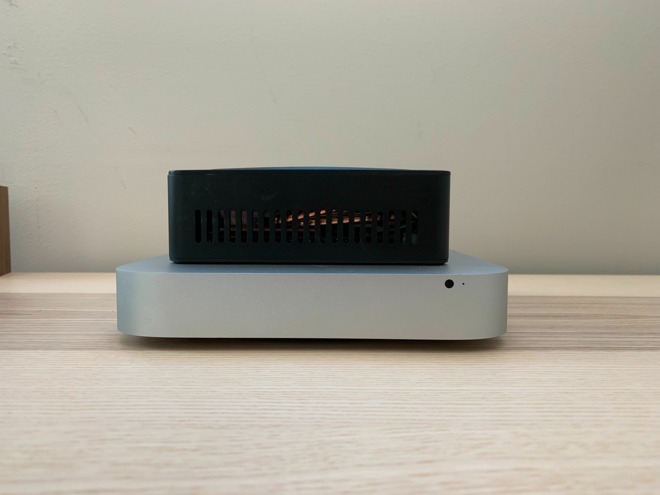 The main news is that the Mac Pro is to come as a series of stackable modules, each only slightly bigger than the current Mac mini, letting customers choose the configurations they need. "What my personal insider sources told me is that the Mac Pro in the sense of modular, is a stacking system [as] opposed to a computer case with parts on the inside and door that opens up," says the presenter on Tailosive Tech. "There's multiple modules you can buy when you getting the Mac Pro. The only one you have to buy is the brain module which is supposedly a little bulkier than the standard Mac mini." "It has some ports on it and it mostly houses the RAM and the CPU," he adds. "But Apple has already made its own proprietary connectors that are placed on top of this brain module and this will allow you to buy different modules that have I/O, that have GPUs, extra storage." Tailosive also claims that while the Mac Pro will be unveiled this year, it may not actually ship until 2020. This is not entirely dissimilar to the 2013 Mac Pro, which shipped in profoundly limited quantities in the year it was released. When it did ship, it was only in the last few days of the year, allowing Apple to say that it hit the 2013 deadline it set for itself. As for the details of how each module in stack will work, Tailosive Tech claims to know that they will be powered from the base or 'brain' module but feature independent power supplies and cooling. "What it results in is ultimate customizability," he says. "So if a professional out there just wants a Mac Pro because it's a small device, they don't need to spend all that money on an iMac Pro..., they'll be able to buy just the brain module. But those people out there who really need that graphics processing, they'll be able to buy one, two, perhaps three or four different GPU modules and stack it on their Mac Pro however they want to stack it." This isn't the first time that this rumor has surfaced. In previous incarnations of the speculation, it was suspected that the modules would work for RAM as well. The existing Thunderbolt 3 connection is in essence a PCI-E 3.0 x4 connection to a peripheral. In order for the system to work for RAM, the connector would not just have to diverge from Thunderbolt, but make major architectural changes to how it communicates to the system as well. Because of those architectural changes, it isn't clear how routinely swappable they will be. A connector allowing for RAM expansion would need a high-speed —and not hot-swappable —bus to connect with the CPU. Apple has executed the concept of a custom high-speed data connector in a rudimentary fashion before. The PowerBook Duo system from the '90s had a custom connector, which allowed for a wide array of expansion for a docked computer —but it did not have a bus speed suitable for RAM expansion. While Apple has not commented on this report nor offered any detail of its plans, the company has gone out of its way three times to specify that the new Mac Pro will be "modular". It has also noticeably shied away from saying it will use PCI-E on the multiple occasions that it has talked about the hardware. Other sources including analyst Ming-Chi Kuo have claimed information about the forthcoming design which don't confirm those of Tailosive Tech but don't contradict it, either.